Post-White House life appears to be pretty low-key for President Barack Obama. He went kitesurfing with billionaire Richard Branson, as one does. He shared his reading list and current favorite jams for the New Year. He talked social media with Prince Harry on the BBC. And now the former Commander in Chief will sit down with a fellow public figure who’s spent a few months out of the spotlight: David Letterman. 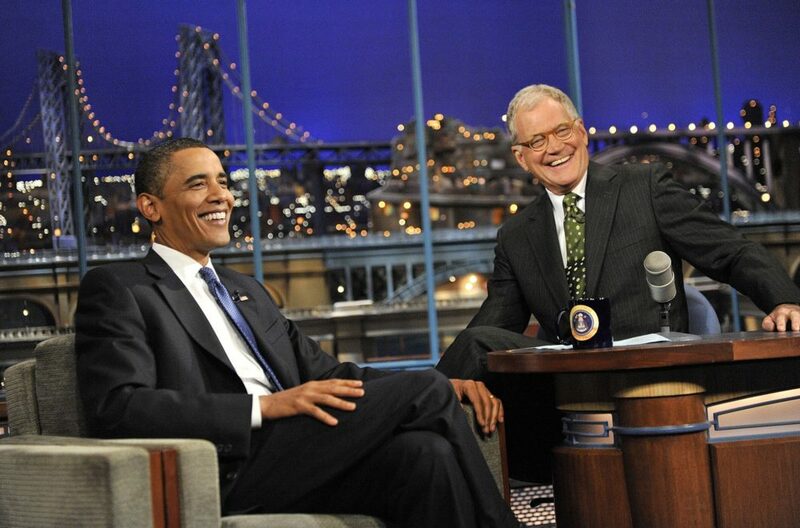 Obama will be Letterman’s first guest on the retired late night host’s new Netflix talk series. While we’re sure all of those people would make for fascinating interviews, we’re excited for Letterman’s first pick (Obama) — both because he’s a compelling conversationalist and because, well, we miss him. Letterman’s kept himself off the radar for the most part since Late Show with David Letterman went off the air in 2015. He did nab the coveted Mark Twain Prize for American Humor in 2017 and even got a video shout-out from former First Lady Michelle Obama during the Washington, D.C. ceremony. Now it’s Michelle’s husband who will be visiting Letterman’s stomping grounds, and we’re ready for him.